All in black ...Like the All Blacks jersey, this short-sleeved polo is cut straight. The lapel of the collar, the double-breasted placket and the slits are made of different "jungle" printed fabrics that are reminiscent of the fern of New Zealand. 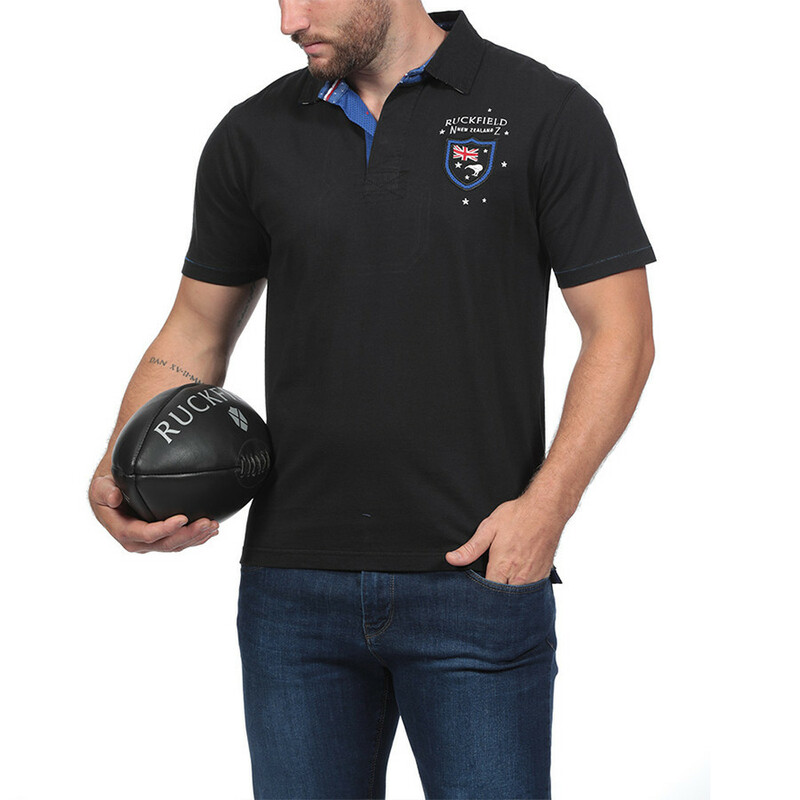 An embroidery and a coat of arms "New Zealand" adorns this polo at the chest. The number 8 on the back is taken with the same fabric "jungle"
Spiked collar. Finishing touches : rubber buttons and embroidered stars on the chest and back.